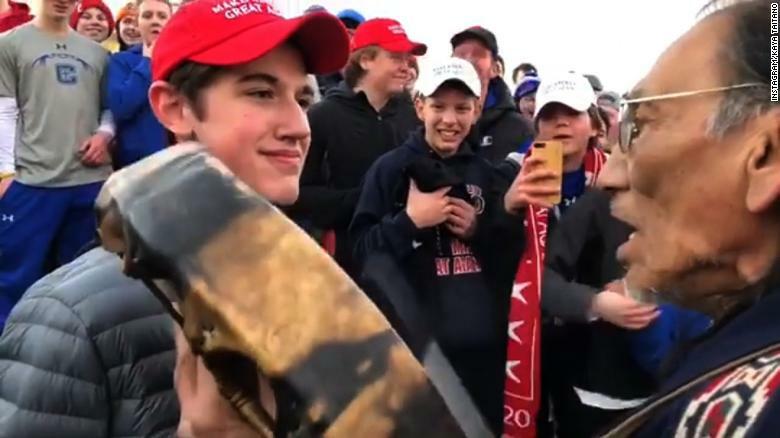 Instead of a reflective and relaxing weekend celebrating the legacy of Dr. Martin Luther King, Jr., many Americans found themselves wading into the debate surrounding the interaction between red MAGA-hat wearing high school students and a Native American elder just steps from where Dr. King gave his famous “I Have A Dream” speech in front of the Lincoln Memorial 90 years ago. The resulting mayhem has become the norm in today’s age of heightened political and reputational risk, where a viral moment on social media spurs a viral narrative that devolves into outrage, accusations, clarifications, and threats – with little or no regard for the truth, and before all of the facts are clear. Understand The Range of Interests And Stakeholders In Your Operating Landscape: Heightened political and reputational risk means that companies and cause organizations need to think through potential challenges they face, as well as where such challenges could originate from. Understanding the range of interests and stakeholders in one’s operating landscape, including their concerns, motivations, and tactics, can provide insight into where opponents and activists may engage an organization on an issue in the public arena, thereby providing space to address any concerns before they lead to public actions like protests and boycotts. It can also help an organization avoid making decisions that undermine its support among core constituencies, particularly at a time when consumers want to support organizations that align with their beliefs. In addition, because viral moments may come from unpredictable and unforeseen events, an understanding of your organization’s network of interests and stakeholders can help solidify support among different partners, build broad coalitions, and shift the public debate into a stronger position during a public affairs challenge, helping mitigate negative consequences that may otherwise stem from it. Know Your Vulnerabilities, And How To Compensate For Them: Once reserved for political candidates running for office, vetting vulnerabilities has become an important tool for organizations to evaluate individuals, from major league baseball to the corporate boardroom. It is also a critical tool to evaluate an organization itself, allowing it to assess flaws, vulnerabilities, and negative coverage it may be susceptible to in the public arena, that competitors, activists, and other opponents may use against it to ignite a viral moment. Knowing your company or cause organization’s vulnerabilities, and proactively preparing the full set of facts to respond to those who may obfuscate the truth or only present a part of the story that your opponents want to feature, helps ensure you can control as much as possible in a fast-moving and challenging situation. Tell Your Story, Before You’re In A Fight: Once an organization understands the network engaged on its issues and its vulnerabilities, it can build a proactive public affairs strategy to tell its story. Sharing a compelling narrative about your organization, supported by the facts and insights that you want to share, defines your organization’s brand and can build goodwill in the public arena. When a viral moment occurs, these efforts can mean a company receiving the benefit of the doubt in a crisis from a public familiar with its story, making it more difficult for that viral moment to lead to lasting reputational damage. Have A Plan: While even the best-laid plans go out the window once a crisis begins, having a plan to mitigate heightened risk remains key to minimizing the impacts of a viral moment. The above components are all parts of a successful public affairs strategy, and with the addition of a monitoring regimen that helps an organization keep apprised of key developments, changes in the state of play, and better see around the corner to anticipate and respond to events as they occur, these facets of reputational management are the hallmarks of protecting your interests and achieving your objectives in an age of viral moments – especially so when the media landscape amplifies and further obscures such moments in real time. The incident on the steps of the Lincoln Memorial is simply the latest in a quickening pace of viral moments that companies and cause organizations will inevitably find themselves the targets of. Preparing now – before events transpire that are outside of your control – improves the likelihood that your organization can weather the challenge when it happens with a sound, substantive strategy to protect itself in the public arena, because when the stakes are the highest, facts matter more than hot takes. If there’s one thing social media needs more of, it’s politics; at least Facebook seems to think so. The company just launched a new feature enabling users to create political petitions, share them among friends, and notify a government agency for action. As TechCrunch points out, not only will these Community Actions allow individual users to sow polarization with outlandish or offensive causes, but they also “provide vocal interest groups a bully pulpit from which to pressure politicians and bureaucrats with their fringe agendas.” Essentially, Facebook has supercharged the political side of Change.org. Today’s anti-corporate activists are professional and well-organized. Giving them the leverage of the world’s largest social media outlet is unlikely to leave Facebook and other tech companies unscathed and may even hasten this outcome by providing an avenue for increased anti-tech activism. Any business exposed to regulatory or reputational risk should keep an eye on this new feature and any copycats it may inspire in Facebook’s competitors, including (God help us) Twitter. The lessons of the November 2018 midterm elections might appear obvious at first glance: red states kicked out blue Senators, swing districts swung to the Democrats and delivered the House, the polarization of the American electorate continued apace. Yet, behind the headlines and under the radar, a subtler trend unfolded: liberal voters directly enacted conservative policies and vice versa. Through the use of ballot measures, advocacy groups took their proposals straight to the people, unencumbered by party loyalties or candidate weaknesses. As conservative voters in Missouri were unseating Democratic Sen. Claire McCaskill, they were also approving legalized marijuana and raising the minimum wage. Jay Inslee, Democratic governor of Washington, saw his dream of the nation’s first carbon tax crushed by a 13-point margin. While voters tend to use partisan and personal affiliations to choose between candidates, policy questions are apparently judged by different criteria. The trend presents both opportunities and challenges for businesses hoping to anticipate the policy and political environment in which they must engage, requiring a concerted effort to dig deeper to better understand the spectrum of interests and stakeholders engaged on the issues important to them. Antitrust policy took center stage at the confirmation hearings of Attorney General nominee Bill Barr, specifically in relation to Big Tech. Several senators spent long stretches of their allotted time asking Barr, who fought the Justice Department’s attempt to block the merger of AT&T and Time Warner in 2018, about the potential for government action against the giants of Silicon Valley. Jeff Sessions, conversely, was asked only twiceabout antitrust matters during his Attorney General confirmation hearings in 2017. Lawmakers’ sudden interest in the issue as it applies to tech companies seems ominous, especially in light of growing popular distrust of the industry. For his part, Barr said, “I don’t think big is necessarily bad, but I think a lot of people wonder how such huge behemoths that now exist in Silicon Valley have taken shape under the nose of the antitrust enforcers.” If confirmed, the incoming Attorney General’s handling of this waxing political issue could set the tone for his tenure and have serious regulatory ramifications across all industries. The Super Bowl’s cultural appeal rests only partially on football these days. Excepting New England fans, most Americans usually don’t get to support their home team in the NFL’s climactic finale and prefer to tune in for the drama of it all or the halftime show or, famously, the commercials. Now a new Morning Consult poll is putting advertisers on notice: political messages are out of bounds. Nearly two-thirds of respondents, including 55 percent of all millennials polled, disapproved of using Super Bowl advertisements to make political statements. Morning Consult CEO Michael Ramlet noted, “The biggest disconnect between the general public and agencies and companies is this idea that you have to take stands to win Gen Z or millennials. That’s not what the data shows” most viewers of any age want during the Super Bowl. Of course, viewers are unlikely to skip the game over a few political commercials and it is still expected to draw television’s biggest crowd. This new data should at least give Madison Avenue pause; while there may be no such thing as bad publicity, woke advertising brings just as many reputational risks as rewards.